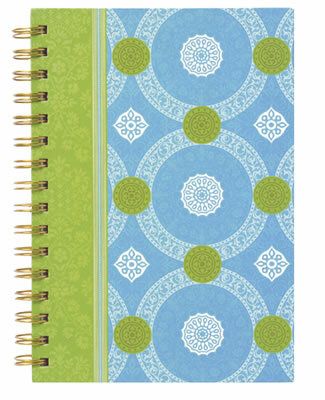 Handy notebook features colorful blue and green Isabelle pattern cover by Anna Griffin. 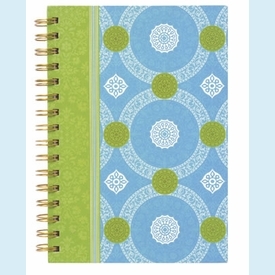 Great for journaling. 85 blank pages. NOTE: Only 3 left! SIZE DIMENSIONS: 6" x 8.5"